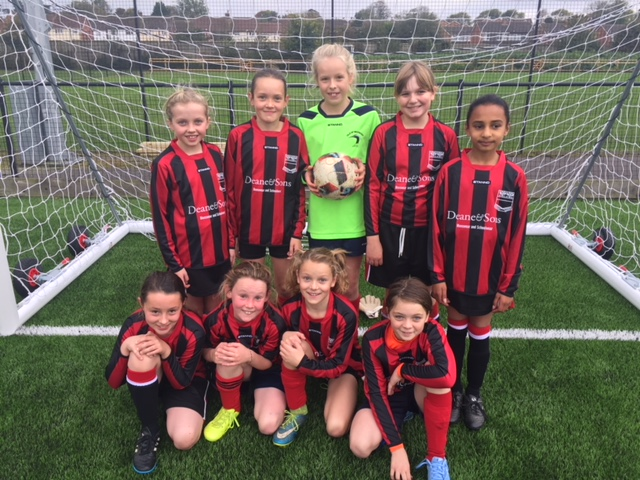 Our U11 girls entered in the local primary schools tournament on Tuesday 17th October at Strode College. There were 5 teams in total in the competition. First we were up against Brookside, which was a great game of football from both teams. Hugh Sexey's won the game 6-0, with some great finishing especially from Maddie Durrant and Olivia Fuller. Next game we were against Elmhurst A. Ella Saxon, Cerys Webb, and Aida Rothery put up a great defence, keeping Elmhurst away from the danger zone and protecting our superb goal keeper, Edie Pargeter. Hugh Sexey's won the game 3-0. After a short break we were then up against Elmhurst B. There were brilliant midfield displays from Ella Holmes, Anika Badhen and Katie Radford who played some exciting, attacking football. It was a close game which Hugh Sexey's won 1-0. By the last game against West Pennard, the girls were on fire; motivation was high, and some great passing football set up striker Maddie Durrant perfectly to smash home the majority of the goals. Hugh Sexey's won 5-0. It was a day of fabulous football from the girls involved; they were a terrific team who played together as a team and helped each other out. A very big well done to the girls as they now progress through to the County Finals on 12th January at Strode College.